Video poker has gained quite the popularity in recent years, and it slowly becomes more famous than regular table poker. The thing is, you have all the control you need, the house edge is pretty low, and you know you’re responsible for the outcome of the game. The best thing is that you get all the privileges that you would on a regular poker table. If you’d like to try your hand at it, and we strongly suggest it, there’s a whole load of video poker variation over at https://www.novibet.co.uk/casino. The same rules apply as in regular poker. You have the standard hands, you get 5 cards at the very beginning, you choose whether to keep or discard them and finally, if your cards match some of the poker hands, you win a certain prize. Now, you can choose from 3 video poker variants: Joker’s Wild, Deuces Wild, and Jacks or Better, which is the most common. The standard poker hands you need to get are: a full house (ex. 3,3,3,2,2), a flush (3,5,7,9,5 of hearts), a straight (1,2,3,4,5), a straight flush (both a flush and a straight - 1,2,3,4,5 of hearts) and a royal flush (a straight flush of the highest cards - 10,J,Q,K,A of hearts). There are also the outside straight (one card missing on either end of the straight – 7,8,9,10,3) and inside straight (one card missing in the middle – 10,9,7,6,2). The key to winning a video poker game is in the discarding or folding. You need to know the right moment to fold or discard the unnecessary card. 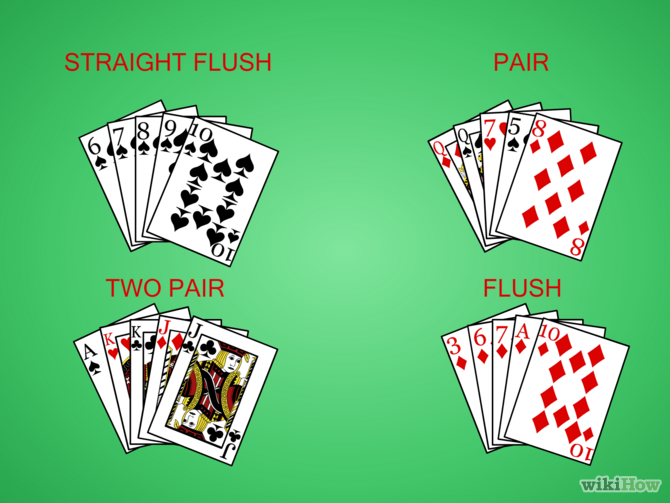 For this, you will need to know all the standard poker hands and combinations. For example, if you're holding an ace, king, queen, jack and a 9 of hearts, you better discard the 9, as you have a chance to get a 10 of hearts or a straight with any other 10, or a flush with any other heart etc. Also, if you're holding three of a kind, make sure you discard both remaining cards, as you'll get a chance at four of a kind or a full house. Similarly, if you have two pairs, you better discard the last card in order to get a chance to win a full house. Normally, the paytable has 5 columns, depending on how many coins you played, but it is recommended to play all 5 coins or in other words “Max Bet”. For the top jackpot or the royal flash, you get a special bonus. For example, if the prize for the first coin is 250, and you played 5 coins, instead of getting 1250, you'll get 4000 coins. And, the probability of hitting the jackpot is pretty high – 1 in 40,000 in comparison with the slot jackpot which is 1 in 262,000. Of course, all these numbers depend on the house edge, and this is something you should really pay attention to. You should always look at what the return on that machine is. If it’s 99% or more, that’s the machine for you. Believe it or not, there are machines, which are rare, that pay out 100.77%!